Most email systems crashes are casued by oversize mailboxes. The challenge facing many organisations about effective email management is first to identify the real problem. Is it technical, people-related or process related? Generally it’s a mix. Once the problems have been isolated, then solutions can be developed which are practical and complement the organisation’s business needs and technical infrastructure. 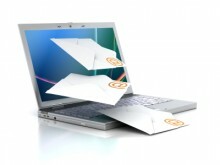 Identify the real causes and costs of email overload. Develop practical solutions to build on available technology, infrastructure and people. Measure the return to the business of the investment in the email best practice initiative. Quickly gain senior management’s commitment to any planned change. Manage and lower the likelihood a breach of security. Increase compliance to the laws relating to electronic communications. Reduce the risk of a serious email systems outage. To see how much email overload is costing you try our ‘Cost of email overload’ calculator.